1. 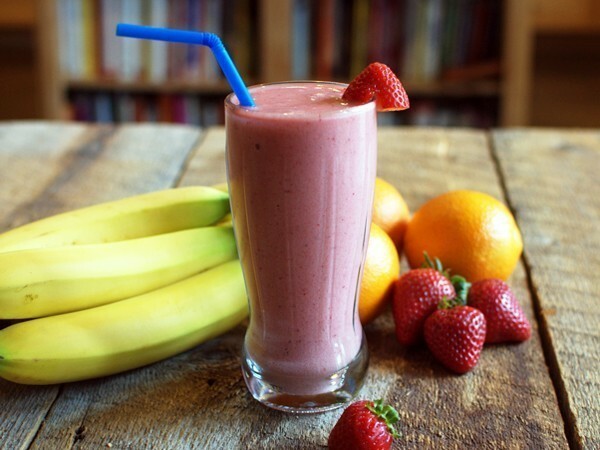 Combine all the ingredients except the bananas, strawberries, and ice in a blender and blend on high speed for 15 seconds, or until the sugar is dissolved. 2. Add the banana, strawberries, and ice and blend until the ice is crushed. Pour into two 16-ounce glasses, add a straw, and serve.